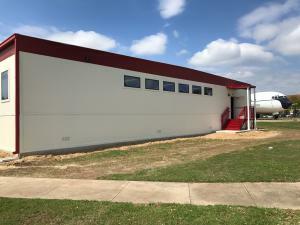 FORT WORTH, TEXAS, UNITED STATES, March 22, 2019 /EINPresswire.com/ -- Modular Management Group, Inc. a leader in modular construction, announced today the successful construction completion of a Temporary Office Modular Project (TOMP) at Randolph Air Force Base in Texas. 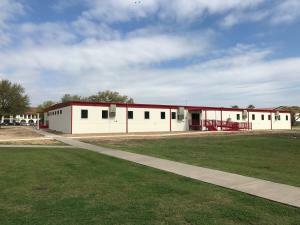 The 13,104 square foot modular building was designed and constructed by Modular Management Group, Inc. In addition, the company will also provide the lease of the building. The facility will serve as a temporary administrative office in support of the 19th Air Force during the renovation of their existing building. 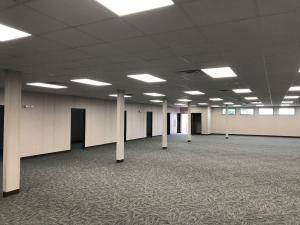 The floor plan includes a vestibule, 21 offices, open spaces for office cubicles, two conference rooms, two IT rooms, break room, restrooms, storage and a janitor’s closet. The modular building is equipped with canopies, steps and ramps meeting all ADA requirements. Modular Management Group, Inc. completed the Temporary Office Modular Project in mid-March of 2019. Modular Management Group, Inc. is a Texas based Design-Build General Contractor specializing in the design, fabrication, and installation of single-story and multi-story Modular Buildings. For more than 14 years Modular Management Group has served Government, Commercial, Healthcare and Education industries. Additional expertise includes ICD/ICS 705 Requirements, Data Communications, Fire and Safety, Systems Furniture, and Lease and Purchase options. To learn more, please visit www.modularmanagementgroup.com.